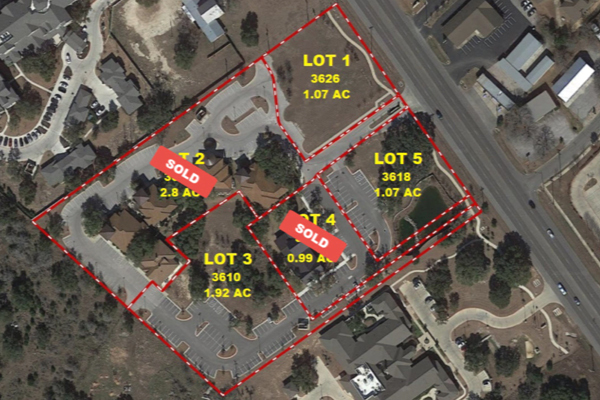 Sonrisa is an eight acre multi-use commercial development along Williams Drive in Georgetown, Texas. Current tenants in the development include dentists, orthodontists, oral surgeons and chiropractors. 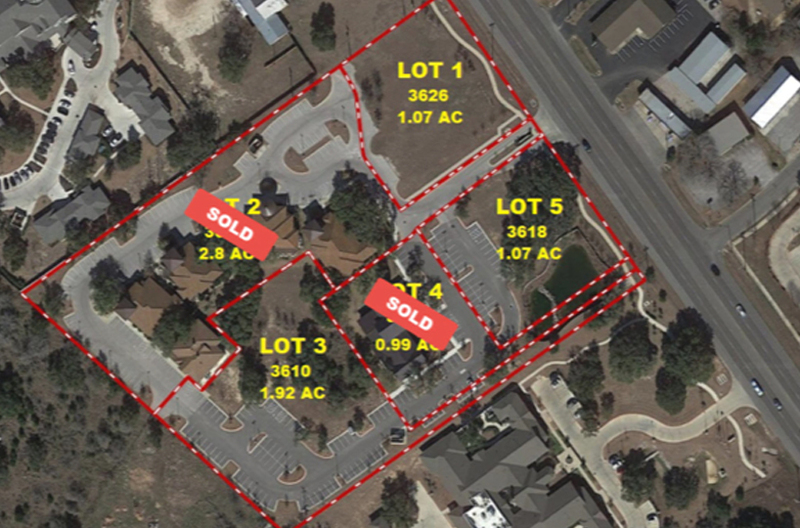 These commercial pad sites offer a Williams Drive address; along with excellent frontage and visibility. Only three permitted pad sites remain ranging from 1.07 to 1.92 acres each. Pad sites are ready for construction with water detention/retention already in place; along with lighting, and all utilities to the site.